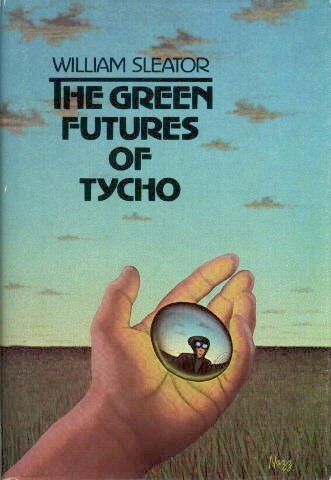 The Green Futures of Tycho, by William Sleator. It’s YA, so you could read it in an afternoon. I did when I was eleven and it’s still on my bookshelf at age 35. It’s a time travel story, but it twists the problem of time travel back upon itself in a creepy but coldly logical way that I just find totally amazing. The portrait of the family that Tycho belongs to is unlike anything I’ve ever read before or since. And I’ll never forget the eerie cover art from the copy I first borrowed from the library in Gurnee, IL. I wish I could get it as a poster for my office. World building. Intrigue. Science. Mythology. Epic imagery (sandworms!) and good ol’ fashioned action. A perfect ending. Forget Lord of The Rings—this is it. Treason, by Orson Scott Card. I know, Ender’s Game and Speaker for the Dead get all the love and Treason is usually considered an early, primitive work by Card. But I haven’t read Ender in a decade and I re-read Treason every few years. It’s kind of like Dune (great world building, mythology, epic-ness, set so far in the future it looks more like the past) but it’s shorter, more muscular, less pretentious… like the best B-movie ever. The setup is just awesome. In some distant future, all the intellectuals and scientists and artists and other geniuses in an empire conspire to overthrow it. They fail. They’re all banished to a crappy backward planet with no hard metals, and told: When you figure out how to build a starship to fly off this rock, we’ll be ready to forgive you. The story takes place millennia later, when the descendants of the traitors are all still stuck on Treason, competing against each other (like the Great Houses in Dune) in an intellectual arms race to sell their knowledge back to the empire in exchange for iron, which is worth more than diamonds. The heir apparent of the planet’s most powerful family (an arrogant, racist, oversexed jerk of a protagonist at first—love it!) gets thrown out of his dynasty and travels the world learning what the other families are up to, acquiring awesome powers, and eventually figuring out the big ol’ lie underlying the whole planet’s history… It’s violent, clever, gross, outlandishly weird, but in the end, genuinely heartfelt.